As a magazine dedicated to helping entrepreneurs and small business grow, Inc. Magazine has been a valuable source of information for over 30 years. Our latest infographic work is out in the November issue. 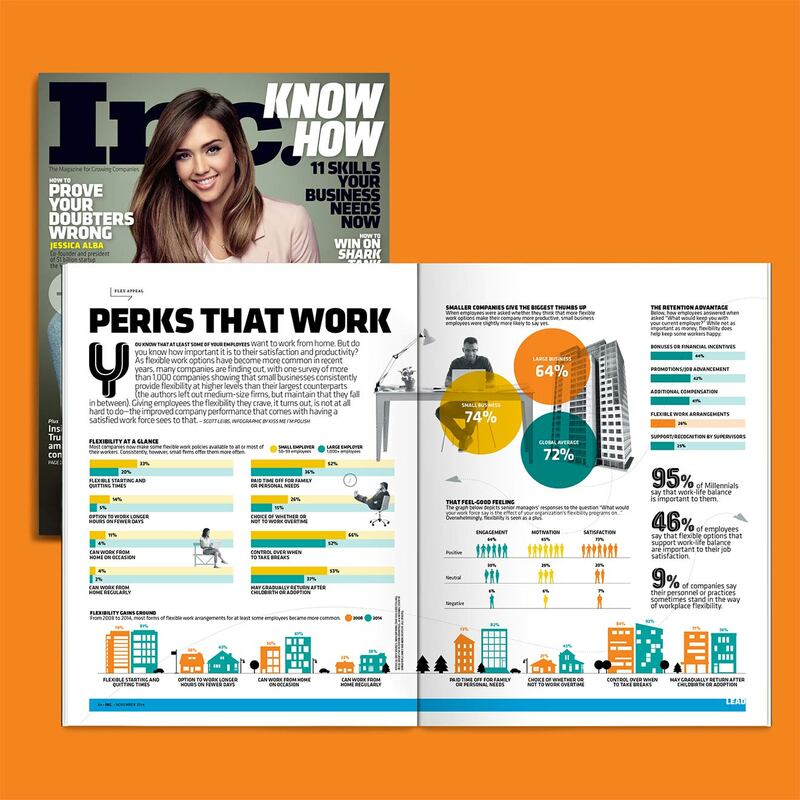 The infographic titled “Perks That Work” maps the effectiveness of flexibility and how it affects companies, both large and small. In the discussion of the work/personal life balance, this conversation has been increasing in importance for both the employer and employee. We have created a composition that provides a comprehensive look at the latest research on the subject.